Dr. John Withers is seen in the Herald studio June 17, 2005. Dr. John Withers, a former Durango surgeon who finds it difficult to take it easy, is enjoying his latest retirement - practicing medicine in Montana. Withers, 75, is going on his third year at Blackfeet Community Hospital in Browning, a town of barely 1,000 people in the middle of the Blackfeet Nation reservation that abuts Glacier National Park in northwest Montana. "The Blackfeet have about 15,000 members who, before they were pushed onto the reservation, owned most of northern Montana," Withers said. "But they're a poor tribe with no gas or oil." support jobs. But Withers is the only surgeon. "If I weren't here, people needing surgery would be transported by helicopter to Great Falls (100 air miles away) or Kalispell (70 air miles)," he said. Summer has barely arrived in Browning where snow - drifts 7 to 10 feet high are common - tends to linger. Trivia buffs should appreciate this from the National Weather Service: Browning reportedly holds the U.S. record for the greatest temperature change in 24 hours. The thermometer, which read 44 degrees above zero on Jan. 23, 1916, registered 56 degrees below zero the next day. 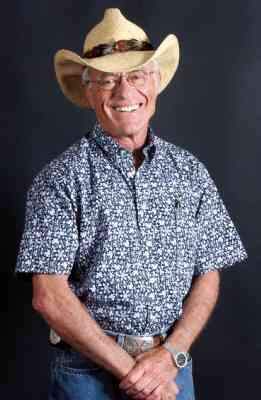 Browning is a world away from Durango, where Withers, a general surgeon, arrived in 1995 after practicing 27 years in Hawaii. "My retirement lasted three weeks," Withers said in a telephone interview. "I couldn't stay out of the operating room." In Durango, he opened a part-time practice, which lasted 10 years. He also wrote a health column for the Herald. But in May 2005, he retired again. "I didn't want to work full-time because of the liability-insurance requirements and all the other things to run a practice," Withers said. "Besides, Durango really didn't need a fourth general surgeon. We had three fine ones." But quickly bored by inactivity, Withers kept his hand in the mix by filling in for vacationing surgeons and working periodically for the Cherokee Nation in Tahlequah, Okla.
Withers hasn't severed ties with Durango, however. He and his wife, Carole, still have a home on East Third Avenue. When Withers moved to Browning, the hospital had been without a surgeon for five years. "I love it here," Withers said. "I've been very busy these past couple of years." In addition to his medical duties, Withers spends time at Browning High School working with science teachers to interest students in careers in health care. He visits the school once or twice a week to talk to students about different topics related to the field. Last semester, 12 students spent some time in the hospital every afternoon with mentors. To help them assume the role, they were outfitted with white jackets much like physicians use. Withers would like to build on the experience of the students by creating jobs for them at the hospital and finding scholarships. 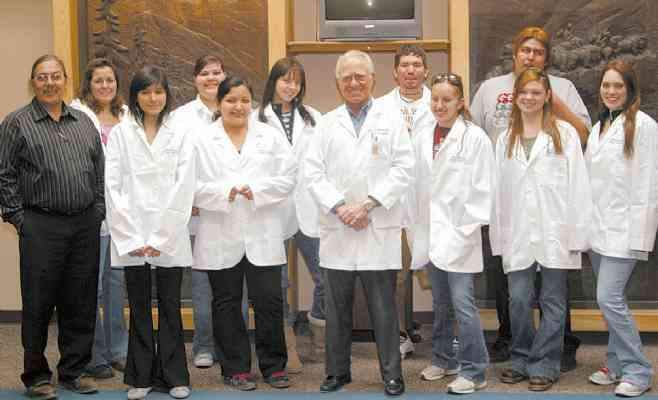 A similar program in the 1970s produced two primary-care doctors - tribal members who returned to the reservation after earning their medical degrees. The search for people who care about health care - a field in which jobs go begging - must start at this level, Withers said. Dr. John Withers, a board-certified general surgeon, earned his medical degree at the University of Colorado, Boulder, in 1959. He completed a one-year internship at Madigan Army Hospital in Tacoma, Wash. After that came a four-year general surgical residency at Tripler Army Hospital in Honolulu. After service in Virginia, he was sent to Vietnam, where he was commanding officer of the 17th Field Hospital in Saigon. After his military service, Withers moved to Hawaii, where he practiced on Maui from 1968 to 1995. Withers was named Hawaii’s outstanding physician in 1983, served as president of the Maui County Medical Society and twice was president of the Maui chapter of the American Cancer Society. In Durango, he founded the Four Corners Hernia Center, was president of the La Plata Medical Society from 2000 to 2004 and wrote a medical column for The Durango Herald from 1996 to 2007. "My retirement lasted three weeks. I couldn't stay out of the operating room. I didn't want to work full-time because of the liability-insurance requirements and all the other things to run a practice."